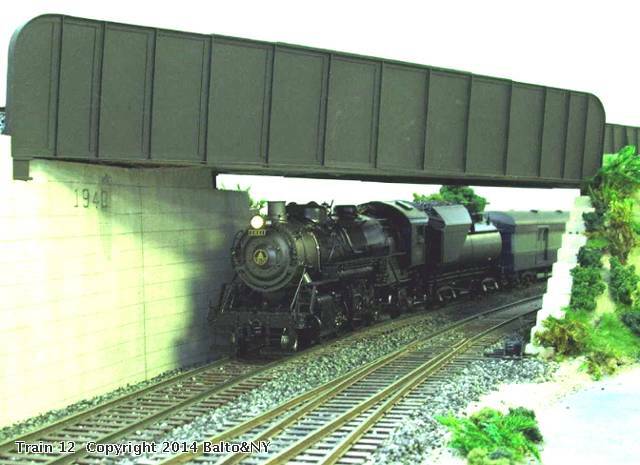 (Guest) J&C Studios O Gauge Archive Photo Poll: Apr. 2015 Running late, but running! Topic: Running late, but running! B&O Q-4b 4611 is on the head end of a delayed Metropolitan Limited on the Baltimore & New York Rwy. It's approaching Tower A and Edgewater station. This was the B&O "maid of all work" train between St. Louis and Jersey City, making almost every stop along the way. B&O had some freight steam and freight diesel locos equipped to cover passenger runs for emergencies or other needs.